Our goal at Reman Auto Electronics is to provide quality new and remanufactured Light, Medium, and Heavy Duty engine management components for gasoline and diesel applications to the Independent Aftermarket. We are especially focused on the 18,000+ independent repair shops in North America. The RAE difference is how we leverage over 40 years of Original Equipment Manufacturer expertise to the growing online aftermarket. This allows us to offer the best product at an affordable price to our customers. RAE also understands how critical these parts are. We know our customers need these parts to get a vehicle back on the road. We take this responsibility very seriously and dedicate ourselves to providing the fastest service possible for our parts. We ship direct from our IATF 16949 and ISO 14001:2015 certified facility in Pennsylvania to our customers. We offer every method of shipping available: from Ground to Next Day Air to preparing orders immediately so our local customers can pick up their parts the same day the order is placed. This allows us to get our product to you quickly and, more importantly, to get the vehicle up and running sooner. Getting the parts there isn’t enough, our parts must work. Quality is vital and we fully stand behind our products. All RAE products are guaranteed with a 1 year unlimited mile warranty (with the exception of our performance products due to the nature of those modified applications). Additionally, our team of technical specialists is on hand daily to assist you with any questions or troubleshooting assistance to provide support during the installation process and beyond. This extra technical support is one example of how we at RAE strive to separate ourselves from the competition by providing installers with peace of mind when ordering online. Ultimately, this is all part of our belief of offering concierge level customer care. RAE is committed to maintaining a standard of excellence for all our customers. 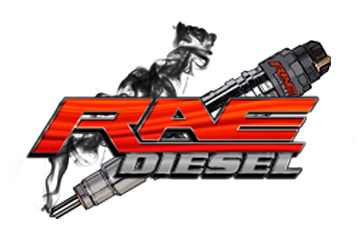 Whether you’re a do-it-yourselfer, a professional diesel shop, or a distributor/reseller: RAE wants to earn your business, trust, and satisfaction. We are the fastest growing brand of Flight Systems Automotive Group, and one of the largest independent electronic remanufacturers in North America. This has been possible because of our amazing customers. We will be at the Carlisle Truck Nationals so please come visit us at our booth. We’ve been fortunate enough to meet many of our customers in person and we hope to meet many more at this year’s show!